Successfully Added QWERTY Cell Phone "TriZone" - Three SIM Card Slots, Worldwide Quadband GSM, Unlocked, Bluetooth to your Shopping Cart. 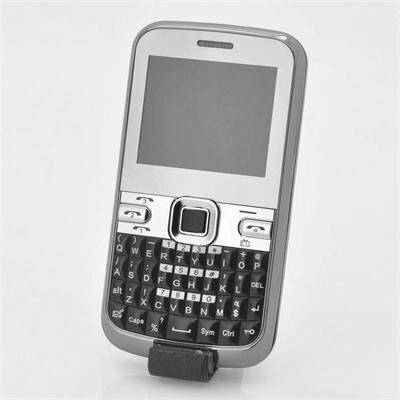 QWERTY Cell Phone with three quad band SIM card slots features simple but useful functions such as Bluetooth, flashlight and a rear facing camera is the no-nonsense alternative choice. With its convenient QWERTY keyboard, the “TriZone” lets you enjoy everything with the ease of a truly enjoyable interface. The main advantage of a QWERTY keyboard is to make it easier for you to compose and send emails, SMS, and search queries. Even if many users are satisfied with the virtual keyboard of most phones these days, we recommended that a real keyboard is much more comfortable particularly for business users. This budget phone with all the essential functions you need and none of the nonsense you can easily do without. The “TriZone” has a conveniently sized 2.2 inch screen that will is clear enough to read without being too large. Featuring a 0.3 rear facing camera is more than enough in case you to take a photo or decided to record video. Instead of carrying two or three separate phones around you can instead insert your personal, work and any other SIM card that you wish to carry. With three SIM Card slots, this unlocked mobile phone is both a cost-effective business solution and an ideal device for daily communications. 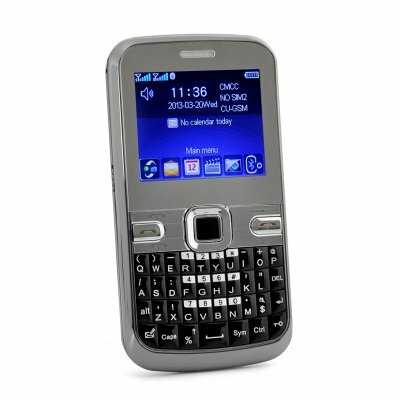 This QWERTY mobile phone with three SIM card slots is an ideal cheap no-nonsense alternative phone. Order now and this product will be dispatched within 24 hours with a 12 month warranty. Brought to you by the leaders in wholesale electronics and cheap mobile phones, Chinavasion. Before any media files can be able to work, the Micros SD card must be formatted. Once the Micro SD card has been formatted then the phone will create a folder, in which different media files must be placed in the specific folders in order to work.